Retirement planning is even more crucial for women than for men. Although most women are married, 85% outlive their husbands and are alone during their last years. Financial planning must address the unique issues facing older women who probably worked fewer years and earned less money than their spouses. Sadly, many older women lack good cash. Five of eight women rely on a husband’s work records to receive their Social Security benefits. And for almost three of eight, those benefits represent 90% of their total income. Of those seniors who live in poverty, more than half are women. Planning to have good cash must begin long before retirement. Many frugal and hardworking parents sacrifice to give their children the comforts that money can buy. In the process, however, they rob their children of character-building lessons they can only learn through personal experience. This psychology is especially true for daughters, who are often protected from the discipline of handling money. Our daughters can only gain experience if we give them real responsibility. In other words, they need a safe way to learn the lessons of irresponsibility. As early as possible daughters should be given the slice of the family’s budget that most directly affects them. By the time they are teenagers, they could be handling much of their own money. A teenage budget offers financial training wheels. Only if teenage daughters are given money for clothes can they learn the tradeoffs between expensive outfits and other spending choices. Remember, not having sufficient money for everything you want provides a financial lesson that cannot be learned any other way. By giving your daughter enough money for all her wants, you’re actually depriving her of future financial satisfaction and stability. Be sure to include your daughter in family discussions about charitable contributions too. As children take charge of their own money, they can also learn generosity by choosing the organizations they want to support. Parents are apt to require their sons to take a first job and protect their daughters from the working world. But by age 14 daughters should be working and funding their Roth IRA accounts. If you want to help, offer to match whatever your daughter earns so she can put your contribution into her Roth and still have spending money. Every seven years a woman waits to start funding her retirement halves the amount of money she can save. Helping your daughter add $2,000 annually to her Roth IRA for the years between age 14 and 19 actually is a better choice than starting her at age 20 and funding her account for the rest of her life. From age 18 to 35, Sophie says women need good looks. What they really need is a fiscally responsible husband. Often women leave the workplace completely to raise a family. Yet because women generally live longer and earn less, they cannot leave their retirement planning to later in life. A loving husband makes sure his wife’s retirement isn’t sacrificed to his career and the children’s needs. My advice to all women: Make your retirement a priority. You may be more concerned for your family’s needs than for your own safety. Just as you must do in an airplane emergency, put on your own oxygen mask first so you’ll be able to help those around you. Fund your retirement even if you don’t work. Unemployed spouses can still fund their retirement through traditional or Roth IRA accounts or simply by savings in a taxable portfolio. Don’t guess at the amounts you should be saving. Know what goal you are trying to achieve. In addition to inflation and interest, retirement planning needs to take into account taxes, capital gains and the different ways to save: taxable, tax deferred and Roth. Retirement planning also involves projections of accumulating assets for 40 years and spending during a retirement nearly as long. You can’t compute how much you should be saving on the back of a napkin. Know what percentage of your retirement goal your current assets can grow and cover, so you can determine if you are ahead or behind schedule. It also helps to calculate if you are pacing yourself correctly. And then you can decide how much you need to be saving each month toward your retirement. Pay yourself first. Your savings should be automatic. You won’t miss what you don’t see. Automating your contribution to an employer-defined contribution plan is easy. If you aren’t employed, you can still automate a taxable savings plan. Most brokers offer a link between your investment account and your checking account and also an automatic transfer between the two. It’s a painless way to move money each month into your retirement or savings account. Save and invest as little as $100 a month for 46 years earning 10%, and you can retire with a million dollars. And $500 a month grows to an astounding $5 million. Those gains can only happen if you start saving while you are young. If you are beginning later in life, you will have to save and invest more each month. Best translated as “righteousness” or “justice,” tzedakah goes beyond charity. It is the responsibility to reach out to others, giving of our time and money. According to the great philosopher Maimonides, the highest form of tzedakah is providing a person work so he or she can remain independent and self-supporting. Thus age 35 to 55 is a perfect time for women to turn their success into significance by starting a business. From 55 on, Sophie continued to use her economic independence to help and empower others. She founded the Sophie Tucker Foundation, which contributed to a host of worthy causes. 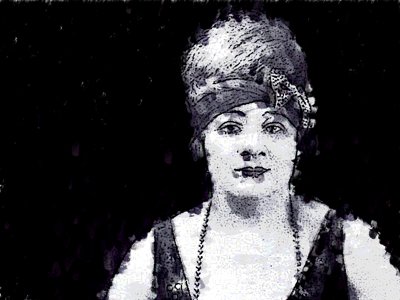 Sophie Tucker continued working until weeks before her death at age 82. “The secret to longevity,” she said, “is to keep breathing.” Today’s women are likely to keep breathing a lot longer. We recommend that women anticipate a retirement well into their 90s. Dying young isn’t a good plan. Preparing for retirement is more than putting money in an account. You must work periodically through mathematical assumptions and projections to ensure you will meet your retirement goals. Annual financial physicals ensure that your portfolio will remain as strong and healthy as you want to be. Financial success is only one of the three components of a successful retirement. Having a healthy diet and staying active physically is equally important. And maintaining a good relationship with engaging and meaningful work is the most critical of all. Sophie’s gusto for enjoying a full life provided several generations with an example of a strong independent woman. Women at every age should be saving and investing at least 15% of the lifestyle they want in retirement. For every seven years they delay saving and investing, they cut that lifestyle in half. Any plan older than two years is out of date. As your savings change, their projected value will cover a different percentage of your retirement goal. While market returns fluctuate and your standard of living increases, you may need to adjust your monthly savings. And your investments should grow gradually more conservative as you approach retirement age.